When I first came to The Keys I saw my first Gypsy at the Winn Dixie in Marathon, I heard it crowing at first, I thought someone is raising chickens somewhere, but then I saw him wondering the parking lot. I haven’t seen any since Hurricane Irma in Marathon yet, but took a trip to Key West and they were everywhere, cute little babies running all over. So I decided to do some research about them. They have no known predators in Key West and are protected. Key West’s city government, beset by calls from disgruntled locals, have tried several times to “downsize” the chicken population. In 2004, the city hired local man, Armando Parra, a barber and self taught bird catcher, to serve as “chicken catcher”. The birds were supposed to be “relocated” to a free range farm in Miami-Dade. 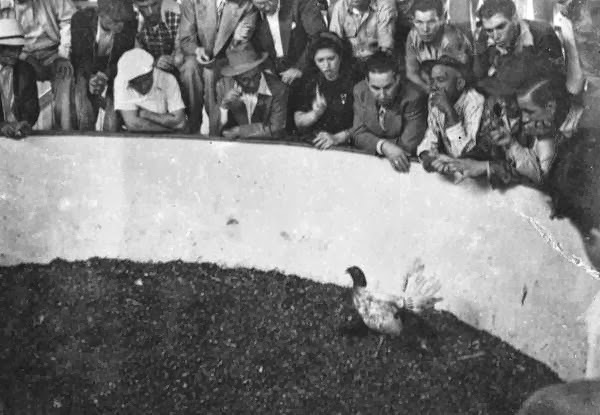 Amid speculation that the birds were secretly being killed, local pro-chicken factions began tampering with traps and Parra was dropped from the city payroll. In 2008, Assistant City Manager, John Jones, made some comments to the local paper urging fed-up locals to “humanely” break the chickens necks, outraging animal lovers.